Edwin, the long-exiled king of Northumbria, thought he had found sanctuary at the court of King Rædwald – his friend, and now protector. But Rædwald faces the lure of riches and the threat of bloodshed, and Edwin fears that he will be abandoned to his enemies. As Edwin contemplates his fate, a mysterious messenger prophesies that he will ascend to greater heights than any of his forefathers. Can Edwin escape the fearsome warrior king who is calling for his blood? 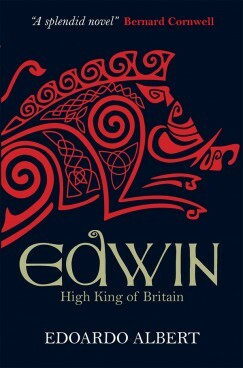 Do the Anglo-Saxon Gods of old, or the new God from across the sea, really have the power to raise Edwin above all other kings? This is the epic first book in The Northumbrian Thrones trilogy by Time Out journalist and historian Edoardo Albert.